Look sleek in black! It's the Classic Black Pinstripe Drink Ticket: a stately and sophisticated design template to help you sell more drinks, keep your bar line fast and orderly, and take some of the pressure off your servers. 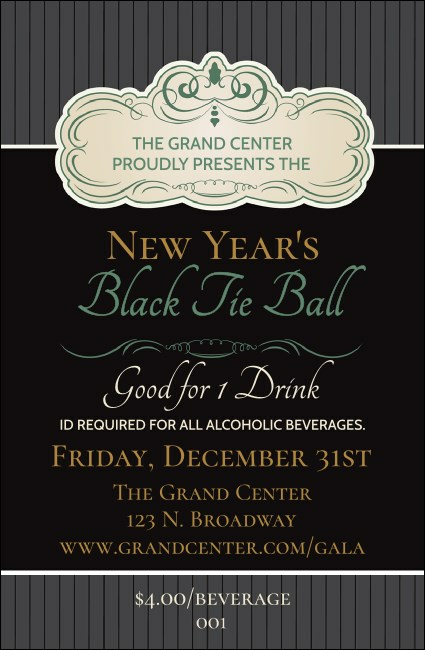 You can sell drinks in advance or at the door, offer one free with every entry, or reward your favorite guests.